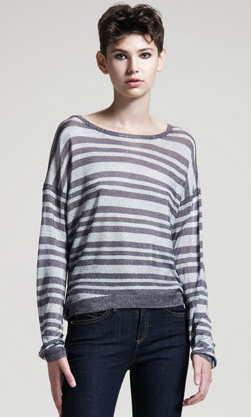 Everyone needs multiple striped tops in their wardrobe... can you really have too many? I really like this relaxed knit top by Rag & Bone, which would look cute with a pencil skirt or skinny jeans! Buy at CUSP for the sale price of $195.